This unique Glass On Glass AshCatcher comes in two different sizes. It can work with 14mm and 18mm water pipe. Pros: Love this piece. I love using ash catchers to keep my units looking better. And this piece just looks incredible. Cons: Not a major deal, but its a wide shallow bowl. Still packed the same amount as my old deeper piece, but the wider seemed different to me... Needed to give this piece a little Vaseline to help it pull a little easier, but I really wouldn't class that as a con, thats just for glass on glass contact. Comments: Great piece, might end up just ordering a couple extra one as back ups later on.. I found i preferred using a glass screen with this piece. Either a star or flower.. The hole seemed a little big for my liking's.. But that's just my opinion. Cons: Only con is that the glass is a little thin but a really good deal for the price. 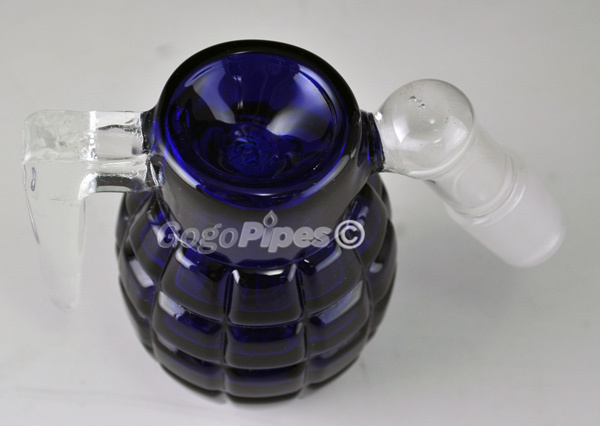 Pros: awesome keeps the bong water clean and keeps ashes out of it also. Cons: Gets dirty really fast but easy to clean so no big deal really. Rather clean this every day then the bong. Pros: Strong glass and draws really nice. Sits by its selfs very sturdy. Pros: Keeps the big device clean. Cons: Can get a litt gross. Comments: Works well for the price it can't be beat. Pros: This is a good-looking green ashcatcher and does a great job. The smoke is much smoother. 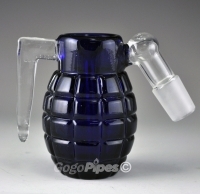 Cons: You don't need to draw hard with this on your glass water pipe or you'll end up with water in your mouth. Be gentle! 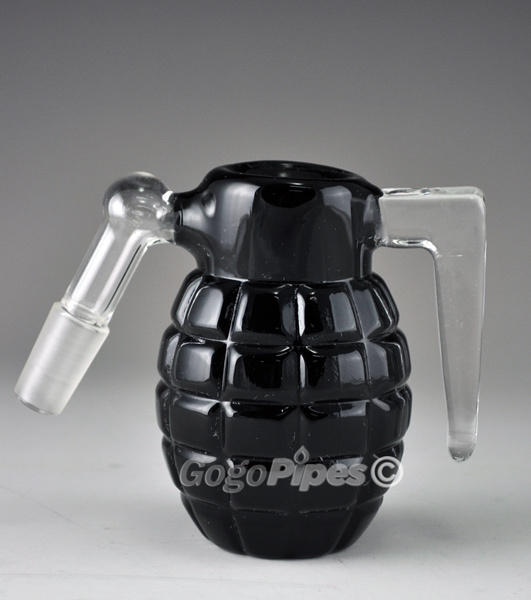 Pros: perfect little ashcatcher, does its job well. makes hit noticeably smoother as well as milkier. rips like a champ. Cons: after a long night it get pretty disgusting. Comments: will purchase from here over and over.